There are a lot of good blog post about how to setup your Availability group, in two blog post I will try to break the basic setup and will show you what you should not do in your production environment. Just because you can does not mean I should do this. 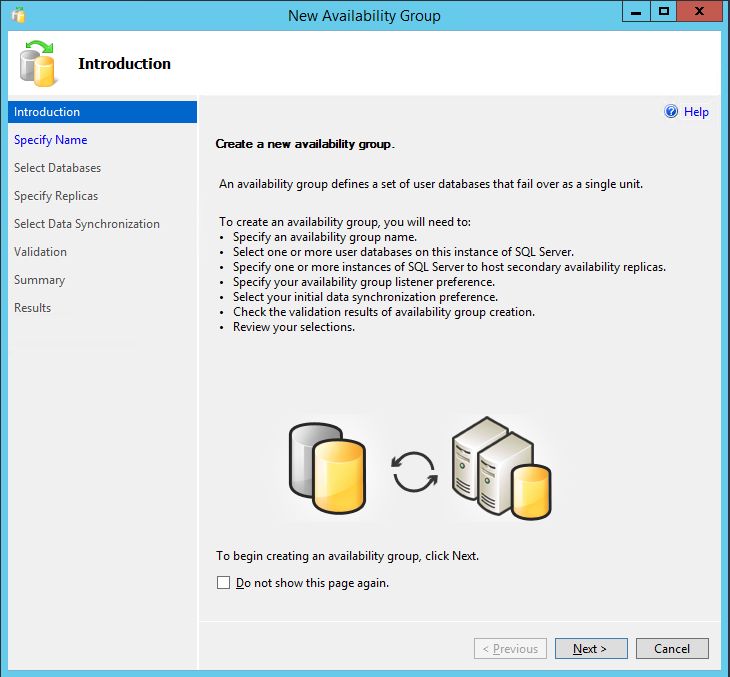 First how to setup an Availability group to make things more complex there are multiple instances, see how they look Naming convention is really important when you do complex configurations. an typo is quickly made! 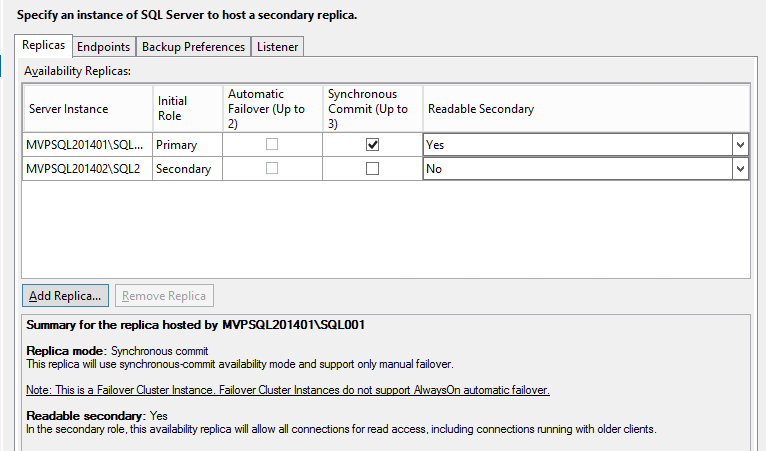 Deploying AlwaysOn Availability Groups requires a Windows Server Failover Clustering (WSFC) cluster. 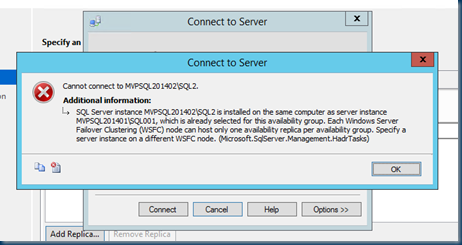 To be enabled for AlwaysOn Availability Groups, an instance of SQL Server must reside on a WSFC node, and the WSFC cluster and node must be online. 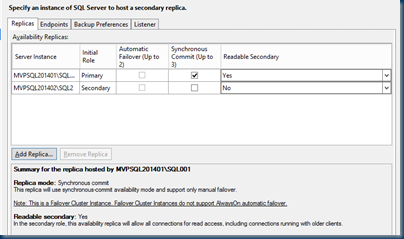 Furthermore, each availability replica of a given availability group must reside on a different node of the same WSFC cluster. 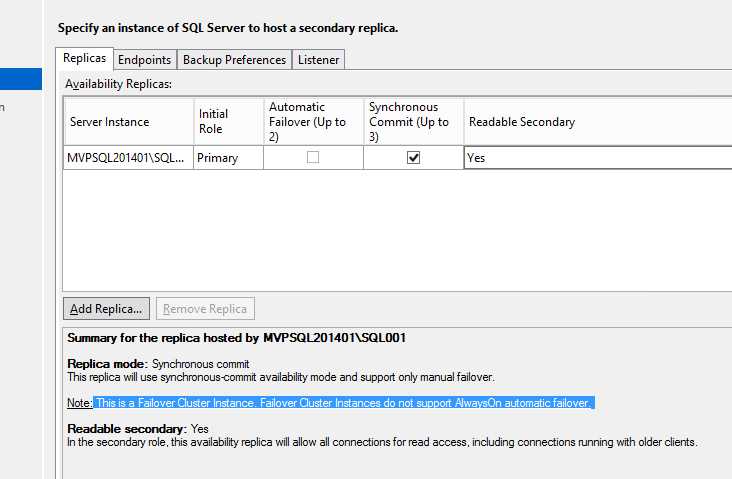 The only exception is that while being migrated to another WSFC cluster, an availability group can temporarily straddle two clusters. 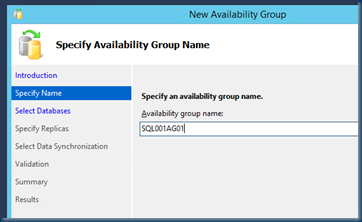 AlwaysOn Availability Groups relies on the Windows Failover Clustering (WSFC) cluster to monitor and manage the current roles of the availability replicas that belong to a given availability group and to determine how a failover event affects the availability replicas. 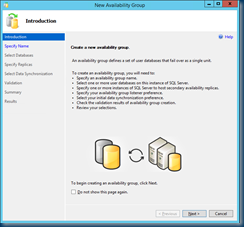 A WSFC resource group is created for every availability group that you create. The WSFC cluster monitors this resource group to evaluate the health of the primary replica. The quorum for AlwaysOn Availability Groups is based on all nodes in the WSFC cluster regardless of whether a given cluster node hosts any availability replicas. 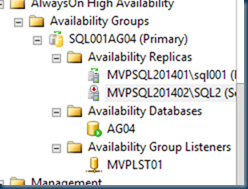 In contrast to database mirroring, there is no witness role in AlwaysOn Availability Groups. The overall health of a WSFC cluster is determined by the votes of quorum of nodes in the cluster. If the WSFC cluster goes offline because of an unplanned disaster, or due to a persistent hardware or communications failure, manual administrative intervention is required. 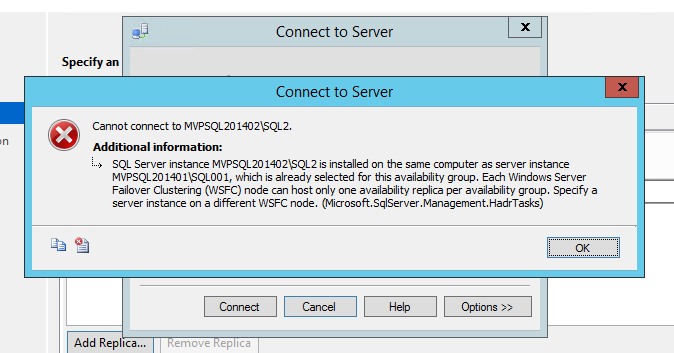 A Windows Server or WSFC cluster administrator will need to force a quorum and then bring the surviving cluster nodes back online in a non-fault-tolerant configuration. 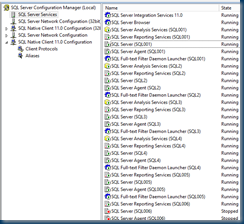 I have a lot of SQL instances and this all runs on a two node Cluster and not all instances are installed on both nodes to trick the installation and to show you the errors you can expect. 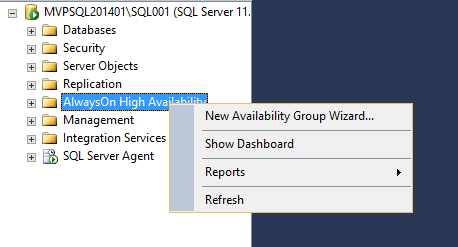 Enabling the AlwaysOn and you can see the Difference the new AG Wizard is not grayed out any more . 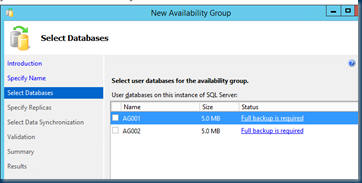 Starting the Wizard and on system Databases it wil not work AG will only work on your own DB ! 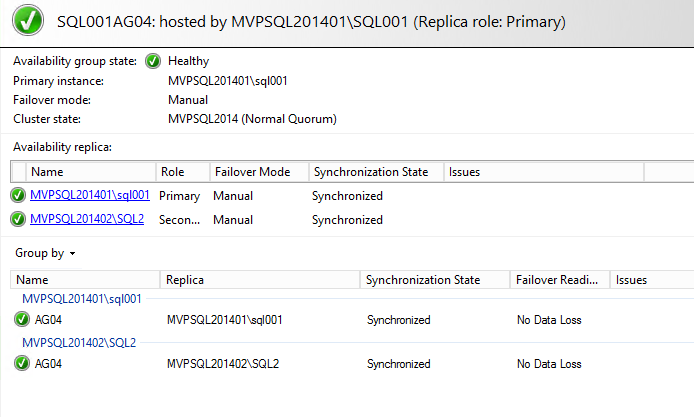 Now we can add a new replica Check the Server and as it is a Cluster you can not set it to automatic failover. Now that we have completed the wizard we do the validation and go for the finish. An Error ? checking the location ?? eh what should the DB be on the same location ?? 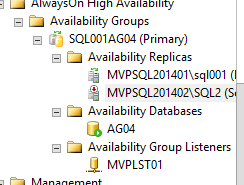 not all my SQL server Cluster are the same and are not using all the drive letters. 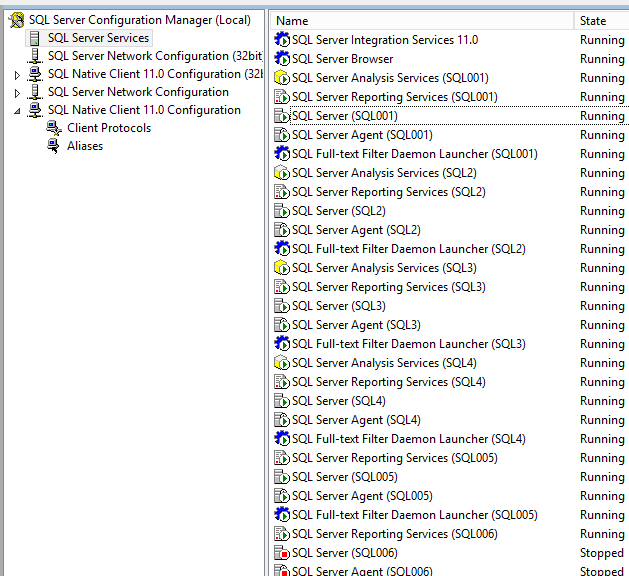 and as I choose to do this on the same cluster ( not supported ) I can not give the other instance the same drive letter. but hat if I had an other cluster and even then I did not have the same Drive letter. Is there a wizard bypass some where. Wizards are nice If you have a default installation. If not Plan B. 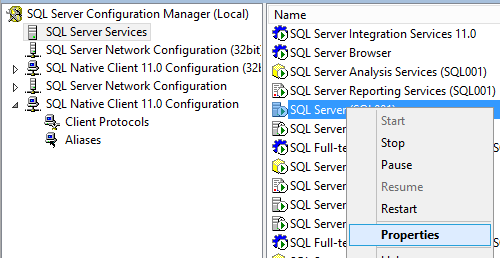 Well if drive letters is an issue SQL Server 2014 can store the DB on a CSV so no more drive letters. And It passed the Validation that is Great. 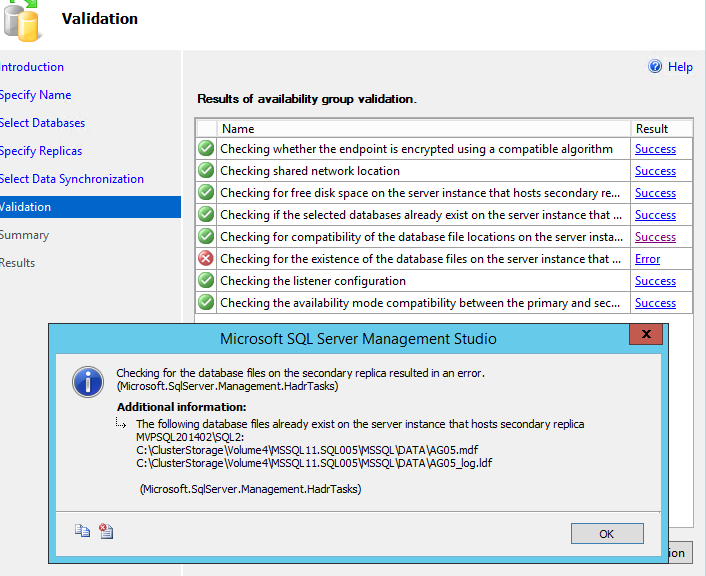 Great thinking but.. the CSV is connected to all SQL servers So the next error is logical. Yes the DB is already there.. what now ? This sounds great but where to start ? should I bing It ? Let Me Bing That For You! 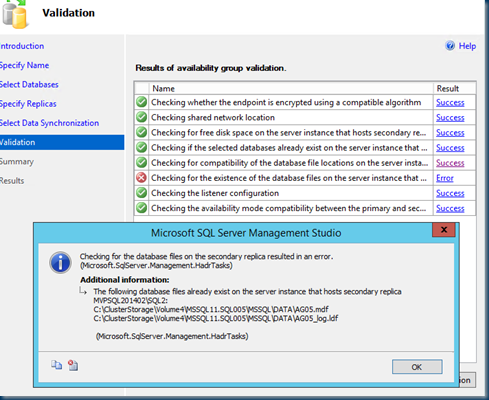 Well I Create it with a SQL script ( I’m no SQL master ) So things can be different. 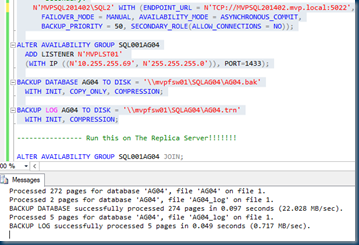 However you can run this in a SQL CMD but here I do this step by Step. Now we go to the replica server and run the script below. —————- Run this on The Replica Server!!!!!!! But as You can see in the screen shot it is not working the secondary server is down. the following error is showing : The connection to the primary replica is not active. The command cannot be processed. 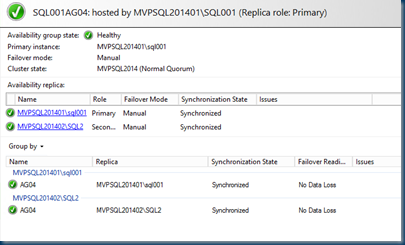 A connection timeout has occurred while attempting to establish a connection to availability replica ‘MVPSQL201401sql001′ with id [F82BBD94-4F04-4B0A-8B75-28A0899F240C]. 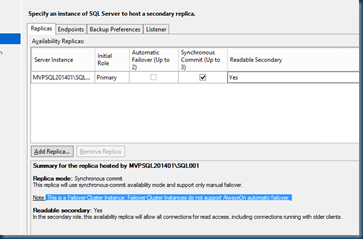 Either a networking or firewall issue exists, or the endpoint address provided for the replica is not the database mirroring endpoint of the host server instance. Ok I did turnoff all the Firewall, checked the network set permissions now what. 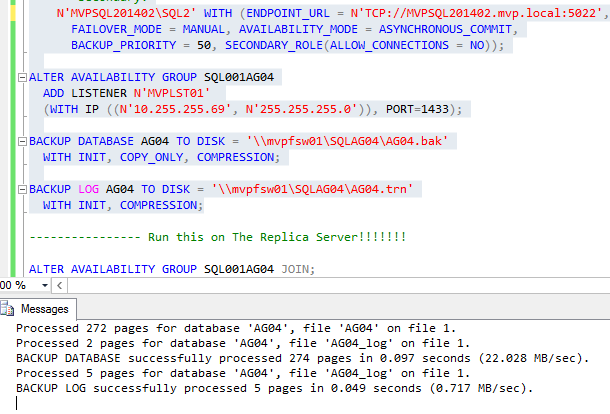 Think : I have two cluster nodes both are using SQL in the script what do they have in common. SO basically it is better to use the script that the wizard well it depends For now in the demo environment running on two different disks it is better and It would be better if the wizard ask you about drive letters or storage locations.